MANILA, July 28, 2017 – Ever wondered how the Jeepney, a distinctly Pinoy cultural icon, would look like if it were a character in Disney-Pixar’s “Cars” series? Wonder no more. 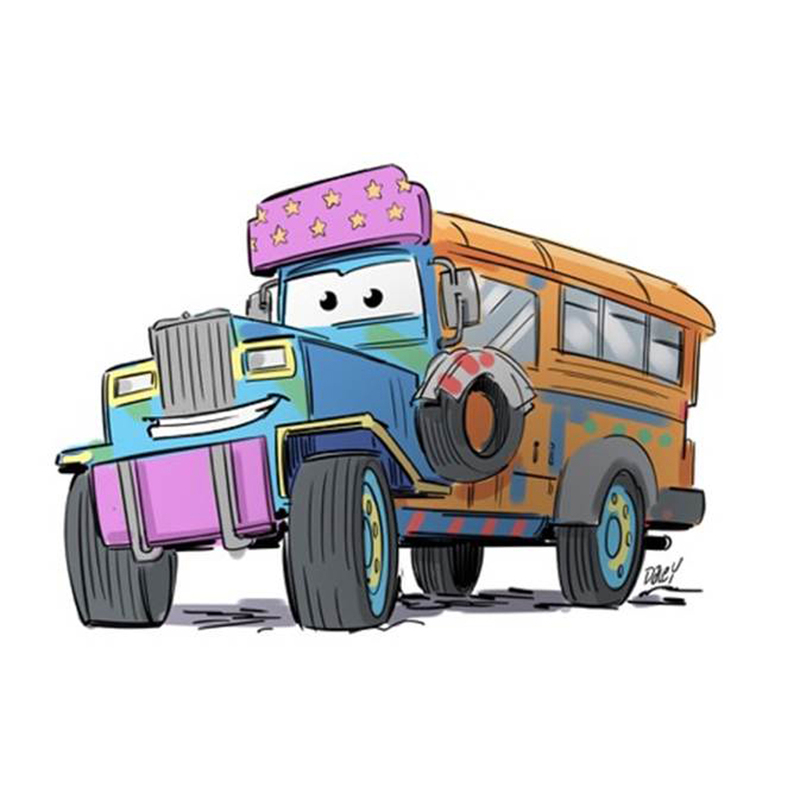 To celebrate the release of Disney-Pixar’s “Cars 3” (now playing in PH theaters), the studio has revealed an exclusive art for the Philippines featuring the Jeepney as country’s very own “Cars” character! The exclusive art was drawn by Michael Daley, a story artist at Pixar Animation Studios. For Disney-Pixar’s “Cars 3,” Daley was responsible for visualizing the script into panels of drawings. It is also worth noting that Disney-Pixar’s “Cars 3” features a team of filmmakers from all over the world, including two hometown heroes from the Philippines, namely Nelson Bohol and Paul Abadilla. Working on the film as Set Designer Artist and Sketch/Envronment Artist, respectively, these hometown heroes are based in San Francisco, California, working alongside the director of Disney-Pixar’s “Cars 3,” Brian Fee. Michael Daley joined Pixar Animation Studios in November of 2014. He began as a story artist on Disney-Pixar’s “Cars 3,” and is currently working on upcoming Pixar projects in development. As a story artist, Daley helps create the initial visuals, or the blue print, of the film. The story artist’s simply drawn rough version of the movie work as a foundation to build the computer graphics and bring the story to life. Lightning McQueen is back on the big screen, but he’s not a rookie anymore. Blindsided by a new generation of blazing-fast racers, the legendary Lightning McQueen (voice of Owen Wilson) is suddenly pushed out of the sport he loves. To get back in the game, he will need the help of an eager young race technician, Cruz Ramirez (voice of Cristela Alonzo), with her own plan to win, plus inspiration from the late Fabulous Hudson Hornet and a few unexpected turns. Proving that #95 isn’t through yet will test the heart of a champion on Piston Cup Racing’s biggest stage! Directed by Brian Fee (storyboard artist “Cars,” “Cars 2“) and produced by Kevin Reher (“A Bug’s Life,” “La Luna” short), “Cars 3” is now playing across the Philippines.